Are you considering repair of gauged earlobe split earlobes? Closure by repair of gauged earlobes split earlobes are typical of the types of ear surgery which are handled by our office. Since 1987, our cosmetic plastic surgeon Dr. Tad Grenga has performed hundreds of gauged earlobe closure repair of split earlobes for women and men alike from the Chesapeake, Virginia Beach, Norfolk, Portsmouth and Suffolk communities in Hampton Roads, Virginia. Usually, gauged earlobe closure repair of split earlobes takes place in our office surgery suite and takes about 45 minutes. It can be performed with a local anesthetic- it doesn’t have to hurt at all during the procedure! Even better, you can return to your normal schedule the same day and, in general, sustain a very brief down-time from your normal schedule. Gauged earlobe closure split earlobe repair costs vary by the complexity and the amount of time required by Dr. Grenga to accomplish repair of the earlobe deformity. For split earlobes, the cost ranges from $475 to $750 (two ears) depending on the complexity of your earlobe problem. For more complex repairs such as those required for closing stretched out gauged holes, the procedure is more complex and takes longer. The cost of gauged ear closure and repair of split earlobes ranges from $550 to $1050 for both sides. Perhaps you’d like to be able to wear those very special earrings once again. As a courtesy to you, we will re-pierce your earlobes after they have had gauged ear closure and repair of split earlobes. 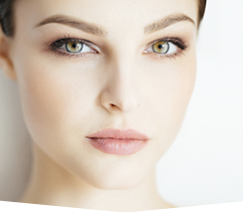 Usually, we’ll allow about 8 weeks after surgery to perform the piercing. Or, perhaps your desire to join the military is put on hold because of gauged holes in your earlobes. Whatever the reason, we’ve got plenty of experience to help keep you looking your best. To learn more about how easy it is to schedule a consultation for gauged ear closure and repair of split earlobes , call today at 757-673-5900 or click here to e-mail your request for information. 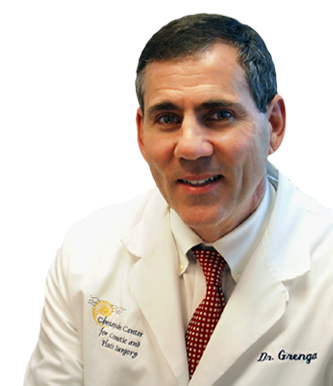 Dr. Grenga is Board Certified by the American Board of Plastic Surgery and is a member of the American Society of Plastic Surgeons.